I’m going to be very busy for the next 30 days. I’ve decided to partake in a 30 day video challenge, issued by YouTuber Scott McKenna. That means I’ve committed to upload a video to YouTube everyday for the next 30 days, even while working 12 hour plus days at my regular full time job. As I upload more videos in the 30 Day Challenge, they’ll appear in this YouTube PlayList. Feel free to “LIKE” and “SUBSCRIBE”! I was looking for a video project last weekend, and rather than going out and filming video, I decided to use footage I already had. I thought it would be a great idea to grab every video clip on my iPhone filmed during 2018, add some copyright free music, and edit it all together into a short YouTube video. So that’s exactly what I did, and it was actually pretty easy – there was no story to tell, just random clips thrown together to some music. When I watched the video back though, I realised it needed an introduction, to explain why these non related clips were put together. To continue the phone theme, I decided to film the intro on my phone too, which actually took longer than editing the main video. I ended up filming in the doorway of my garage to get reasonable lighting (for the front facing camera) and to get away from household noise (TV, games, kids playing). So here it is, 2018 as seen through the lens of my iPhone 8. I like it because every clip is a memory for me to look back on, but hopefully it’s short enough to not bore everyone else. One of the first websites I ever made was a simple Blogger (Google’s blogging platform) site to record some of my favourite websites. This was a long time ago, before social media and before you could synchronise browser bookmarks across devices. I put a lot of thought into the name of that site, and called it “Simon’s WebLinks”. 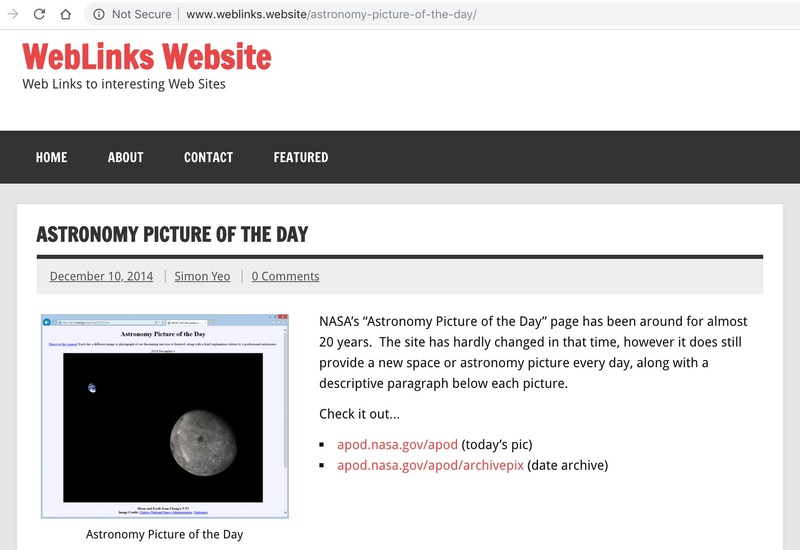 If I found a website I thought I might want to share with someone else, or access from another computer, I would write a short post including a screenshot and hyperlink. Fast forward a couple of years and I had discovered WordPress around the same time that new Top Level Domains became available. (A new Top Level Domain is a web address that doesn’t end in the tradition dot-com or dot-net, such as dot-website). These days a lot of people don’t browse the web, they browse social media. If you do have favourite websites, broswer bookmarks can be synced across devices. There is just no need for a WebLinks Website anymore. 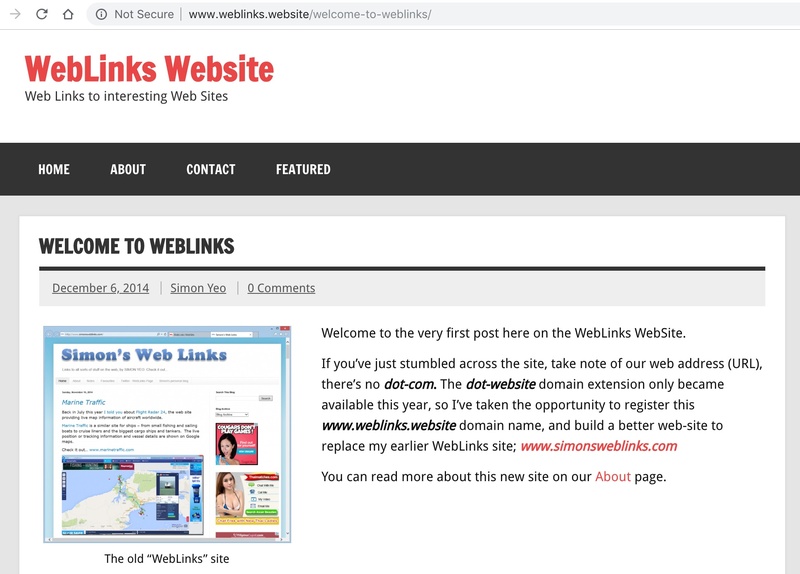 When the weblinks.website domain renewal came up, I had to make a decision whether or not to keep the name for another year. Looking back over the site, I was suprised at how many of the great websites I frequented years ago no longer existed. The site now had more bad links than good. It was time to let my Weblinks Website die. 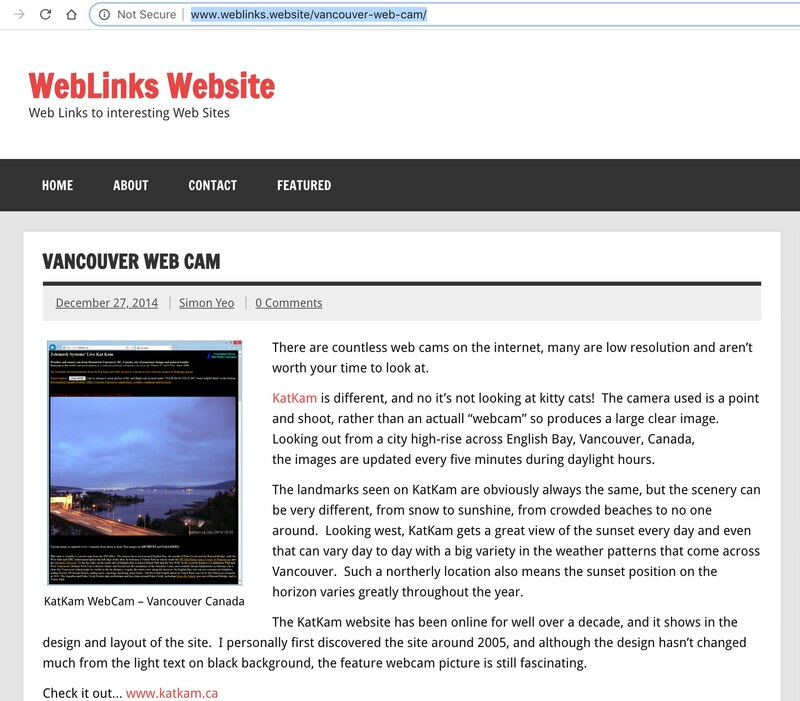 Even though weblinks.website has gone, much of the site can still be seen on the Internet Archive Wayback Machine. If I do come across any amazing websites worth sharing in the future, you can bet I will write about them here on my personal blog. The key to a successful blog, so they say, is regular updates. “Regular updates” probably means at least a weekly blog post, so not doing anything to this site for more than a year, isn’t really good form. 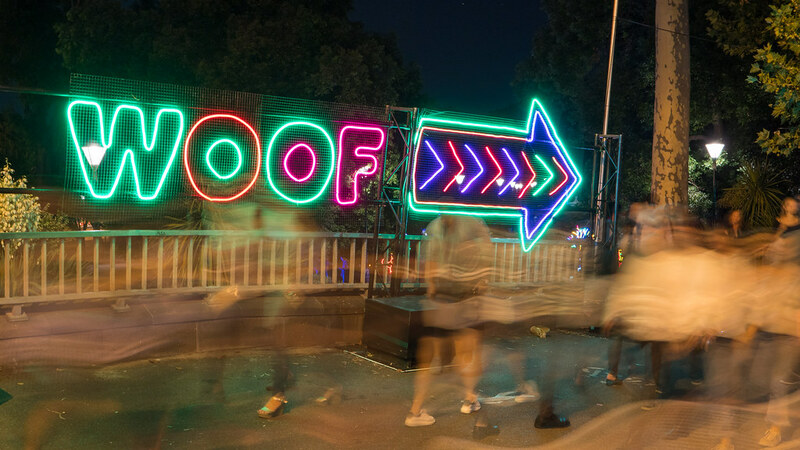 Back in April I realised it had been 12 months since I’d updated the blog, and started to think about what I should do. Do I do a big catch-up post before getting back into regular blogging, or should I just shut down the site? I couldn’t decide, and did nothing at all. A few weeks ago, the web hosting renewal popped up in my inbox, so it was time to make a decision about the future of my personal blog and website. I paid the invoice, and here we are. Lets catch-up, what’s been happening since April 2017 ? Before I start regular blogging again, I should update the site with what’s happened in my life since I lasted updated my personal blog. I took this photo of Ken in 2014, posted on the swim club’s Flickr site. Ken was a veteran police officer, but we knew him as a swim coach to our boys. 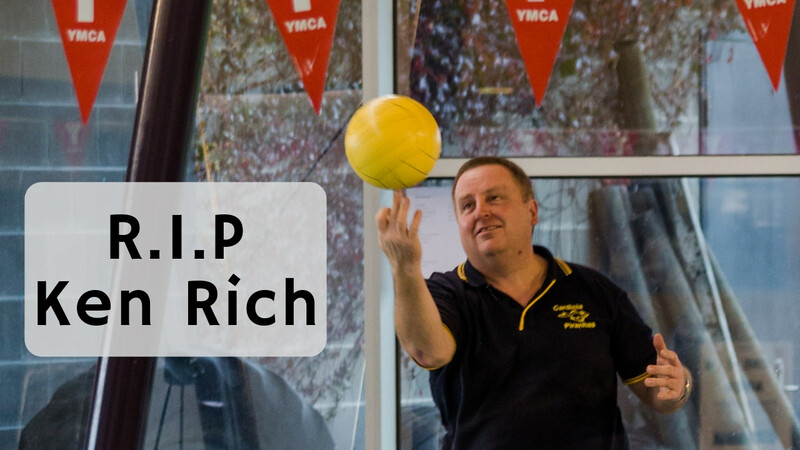 Ken founded, and was President of, the Cardinia Piranhas Swim Club, where Josh and Brad swam squad. Mandy and I volunteered on the committee of the swim club, so we got to know Ken well. Tragically he was hit by a ute while cycling with his daughter on April 14, 2017. Hundreds of people farewelled Ken at his funeral on April 26, held at the Victoria Police Academy Chapel. RIP Ken. I made a short movie! Using only my iPhone, I set out to make a one minute movie. Yep, one minute! It’s was a simple plan, compile various short clips from taking the kids to school on a rainy day. This included stuff you wouldn’t normally think about, like flicking on the wipers, to help tell the story. Looking back, this was really early in my video making hobby. It was filmed on a phone, edited with free software and uses copyright free music. It’s had over 1,000 views on YouTube, and even got a few “likes”. 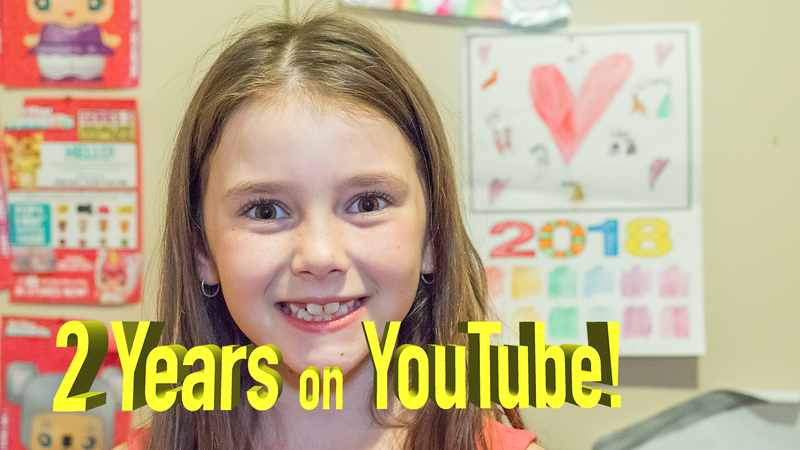 I’ve written in a previous blog post that I thought I had the YouTube bug, well so has my daughter – Karla. Over more than two years, we’ve filmed more than 90 videos together, which equates to hundreds of editing hours for me. It’s no wonder I haven’t had much time for blogging and updating this website, but I wouldn’t change a thing. Not only has it been a lot of fun working on these projects, it’s great to have a video record of Karla growing up. 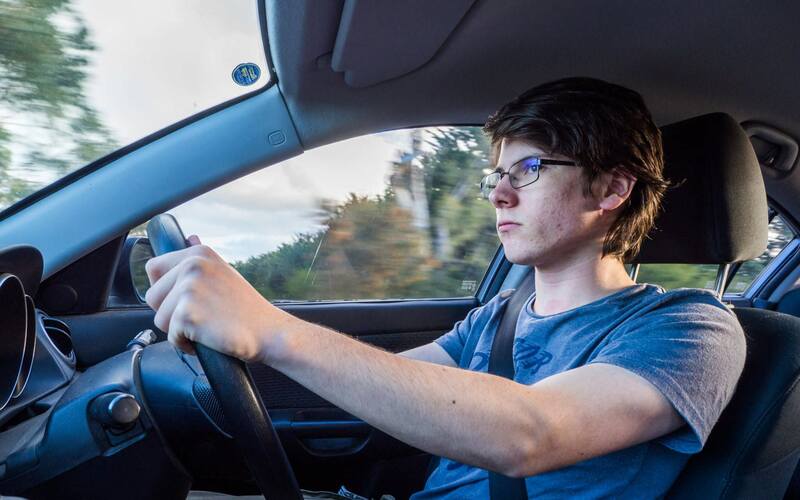 Since Josh got his Learner Driver permit in January 2016, we’ve been encouraging him to drive as much as possible. There’s been long and short trips in both my Mazda and Mandy’s Kia, but for some reason kids these days don’t seem to be in any hurry to get their driver’s licence. Sometimes we can’t drag him away from whatever else he’s doing to go for a drive, so after more than two and a half years he still isn’t close to the minimum 120 hours required to go for his “P” plate licence. I was contacted, out of nowhere, from a manager I worked with 8 years earlier, asking if I’d be interested to work with him again. 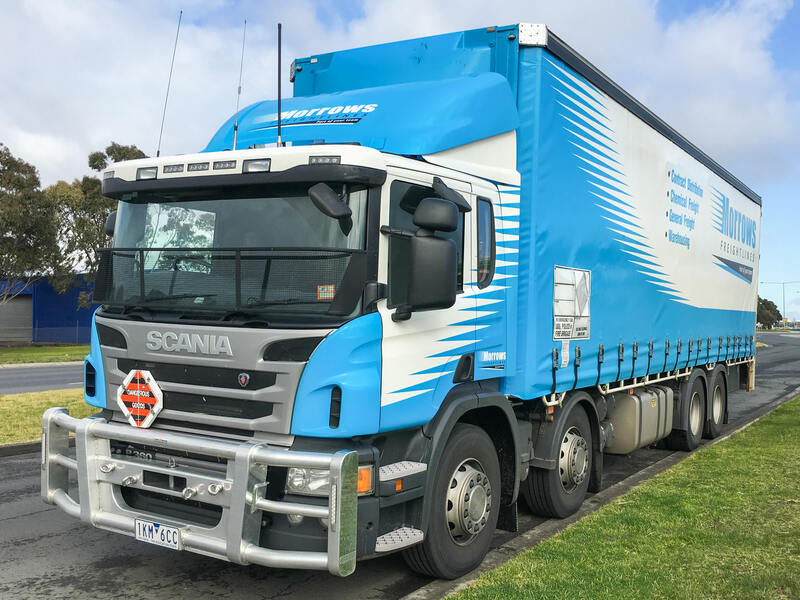 He had just joined a family transport company, and wanted to bring me on board to help improve the business. Sure, it was a bit risky, but I resigned from the company I’d been working with for more than five years. Thankfully they said I’d be welcomed back if the new job didn’t work out! Now I’m a morning supervisor, opening up and helping get drivers out on the road, before heading out in a truck myself. Just like most work places, nothing is perfect, but I’m happy I made the move to a small family business. 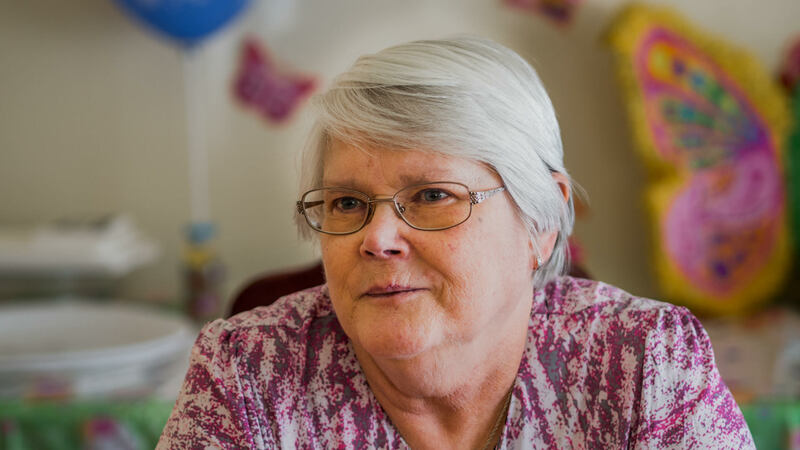 In September 2017, my Mother-in-Law, Bev, lost her battle with cancer. Our local Lego store (I’m Rick James Bricks) had a promotion where Simpsons artist Dean Rankine would draw customers (for a fee) in a Simpsons cartoon character likeness. Just like Mandy and Karla had their Simpsons look-a-likes drawn last year, now it was my turn. This is a bit of fun, and very interesting to see your self as a cartoon character. 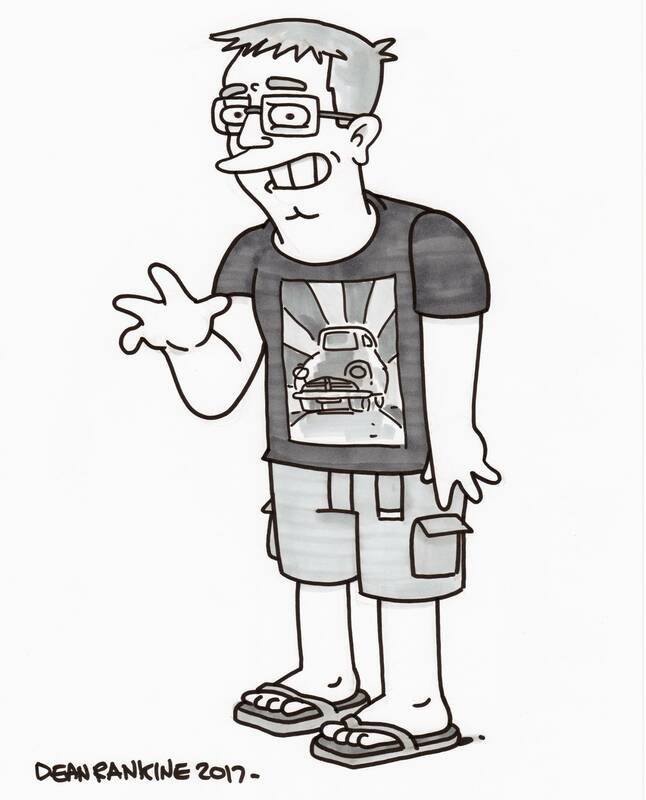 It’s amazing the detail Dean puts into his drawing, such as the design on the t-shirt I happened to be wearing, or excess belt hanging down from my shorts. I’m really happy with the final drawing, thanks Dean! Crowds gather in the main street of Wycheproof to see the last steam train. 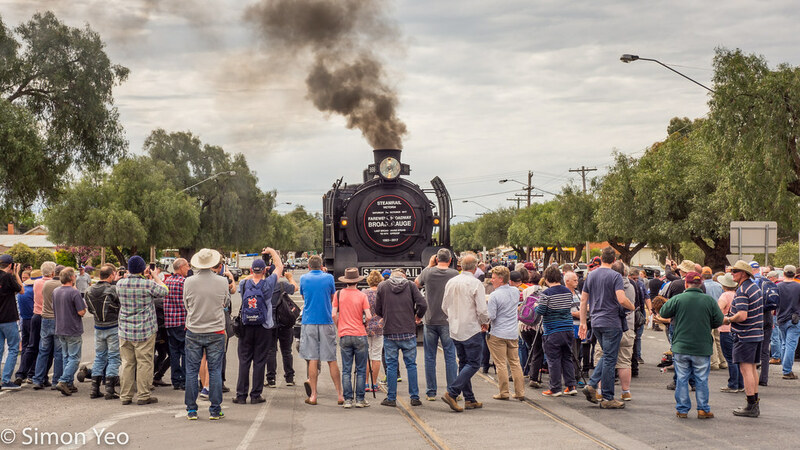 I drove to Wycheproof (North West Victoria), where the railway line runs down the centre of the main street, to see (and photograph) the last ever steam train to visit the town. The tracks are being upgraded to a different gauge, eliminating the possibility of any heritage trains from Victoria visiting town again. That little road trip was October 2017. Fast forward to September 2018, and NEWSRAIL magazine has featured one of my pictures from Wycheproof on their back cover! There’s no remuneration for a published photo, just a free copy of the magazine, but it’s still nice to be published. Every time one of the kids has a birthday, we say something like “oh how time flies” and “I feel old now”. When a child officially becomes an adult, at the age of 18, you really start to think about all those years. 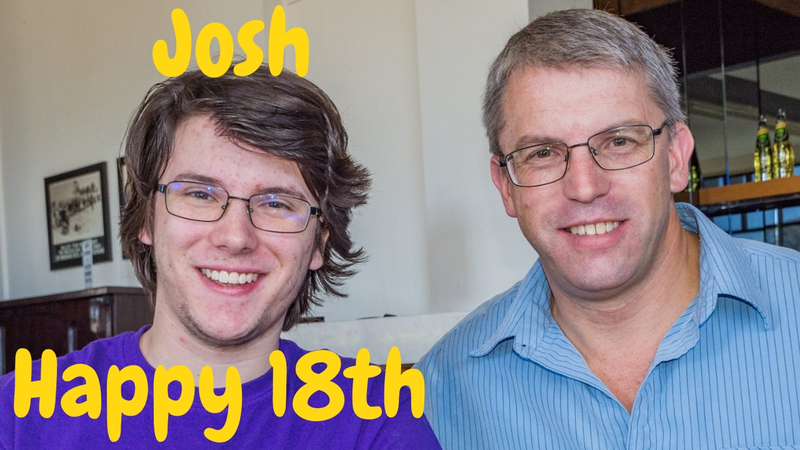 Our eldest son, Josh, turned 18 in January. 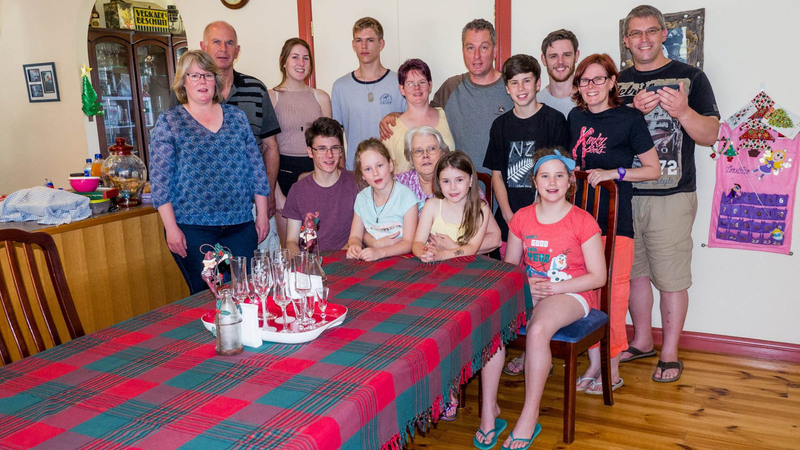 He didn’t want a big party, so we just had family and friends get together at the local pub for a big lunch. 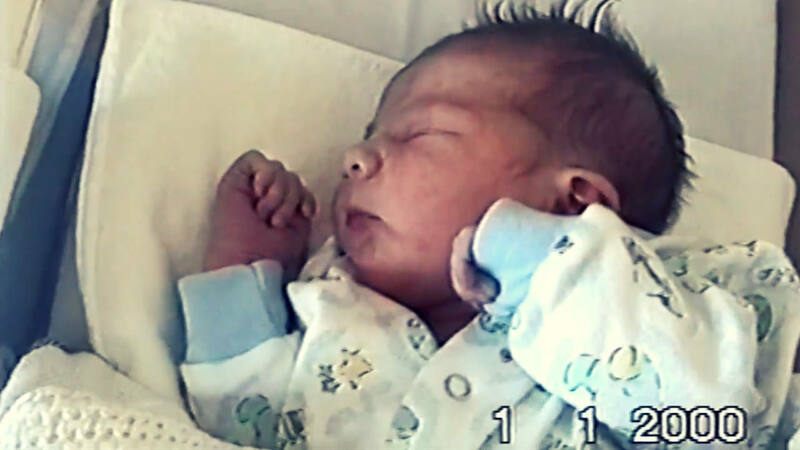 For months leading up to his birthday, we’d been digging up old photos and video of Josh growing up. Mandy made up a couple of picture boards, and I edited together lots of old home movies that started with the day he was born and culminated in everyone at the birthday lunch recording a message for him. Check out the final video on YouTube. There’s a growing tourism trend to paint murals on old grain silos, to encourage tourists and travellers to stop at the small country towns. 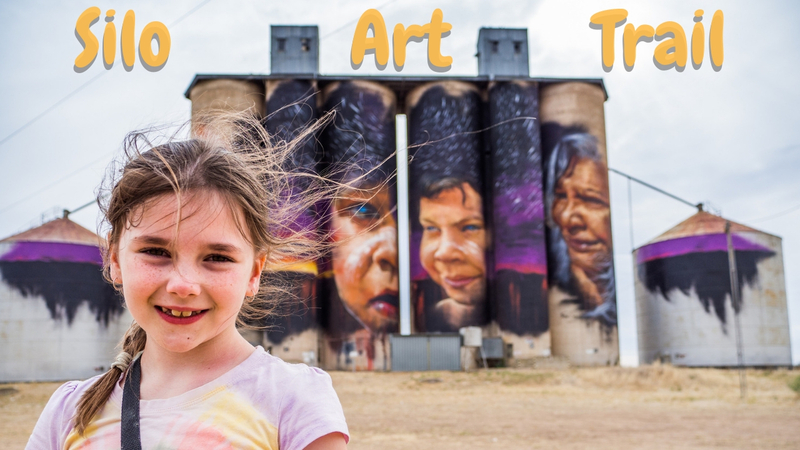 In western Victoria there’s six silo art murals promoted as a “Silo Art Trail”, where tourists are encouraged to take a road trip to see the silos. That’s exactly what Karla and I did, driving from Melbourne we saw all six murals, took heaps of photos and made a video before staying overnight in Horsham. I’ve been wanting to up my photography and videography game for a while. My Olympus OM-D is a good camera, but I was running into some limitations. I wanted to stick with the micro-four-thirds system so I could continue to use my existing lenses, so that meant looking at either the high-end Olympus cameras, or going with something from the Panasonic Lumix range. 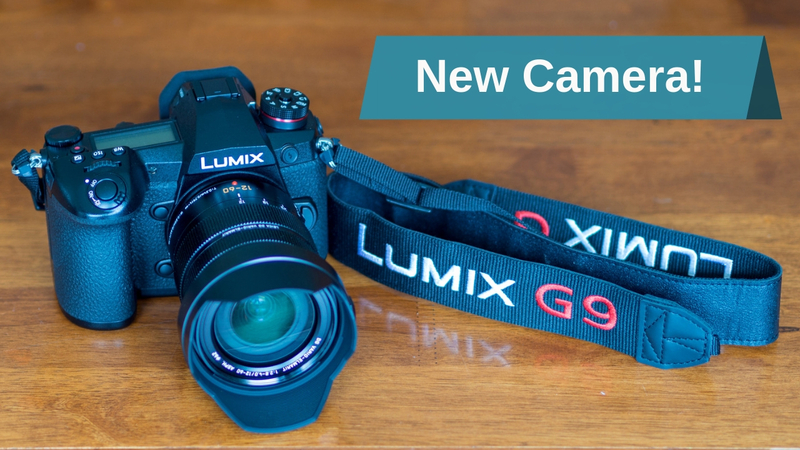 When the Lumix G9 was announced, I knew that was the camera I wanted. Panasonic has taken image stabilisation to the next level with their Dual I.S, that makes hand held long exposures a possibility. 4K video at 60fps means I can up the standard of my film making, and include some smooth slow-motion footage. There are too many other awesome features to list here, but the G9 is the best micro-four-thirds camera available. A camera like the Lumix G9 doesn’t come cheap, so I’ve had to get onto a good finance plan, but I think it’s worth it. The first outing for my new camera, the Panasonic Lumix G9 (see above), was to White Night Melbourne, an overnight event in the streets of the city, showcasing light displays and projections. I enjoyed wandering the Melbourne streets, along with thousands of other people, and my 17 year old niece (who is also into photography). The G9 was amazing in low light for both regular and long exposure photography, and the awesome stabilisation meant I could take shots hand-held without even thinking about a tripod. 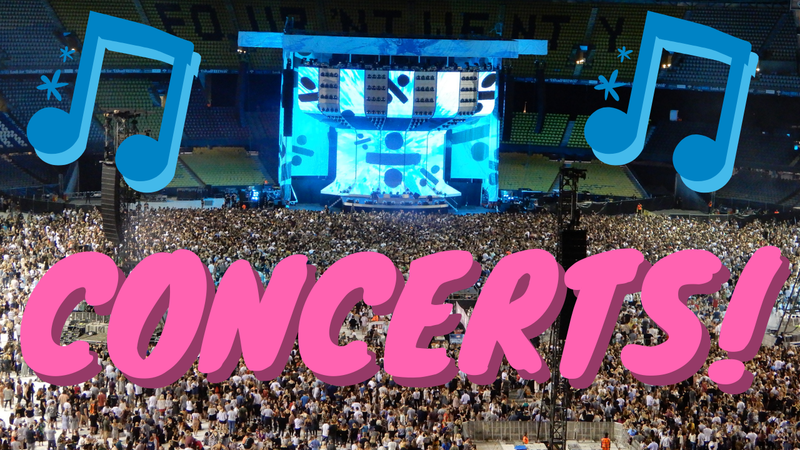 We saw Ed Sheeran at Etihad Stadium (the Docklands arena now known as Marvel Stadium), but we were almost at the very back of the top deck. The view might not have been great from the back of the “cheap” seats, but this was Karla’s first concert and she loved it. Rod Laver Arena is a smaller venue, so even our seats at the back and to one side still gave us a good view of P!NK. P!NK is definitely more of a rock artist than Ed, so I enjoyed her show more, but both were great concerts. Even though I’ve been horribly slack in updating this site, my personal blog, I have managed to publish a few posts to my other site. If you haven’t seen www.vic.pics before, it’s basically a local travel and photography site. Whenever I can, I travel to somewhere in Victoria (my home state in south-east Australia) and photograph as much as I can. Ipublish to a gallery and write a blog post about the location, or whatever I’ve photographed. Even though blogs aren’t trendy anymore, the young folk prefer their Instagram Stories (or what ever it is they do now), I’d really like to keep my blog going. I put a lot of work into this site in the beginning, learning WordPress and trying different themes and layouts, so I don’t want to think it was all a waist of time. Believe it or not, I actually enjoy the creative process behind maintaining a website and writing a blog. “…we apologise for this break in transmission, we will return you to our regular programme as soon as possible”. Well, thats what I’m doing here, apologising for the break in publishing my personal blog posts and promising to return to regular blogging real soon. This site is just a personal blog, so nobody really cares except me, but this update post has gone for long enough. It’s time I signed off and started thinking about my next blog post. Australia Day, should we change the date?